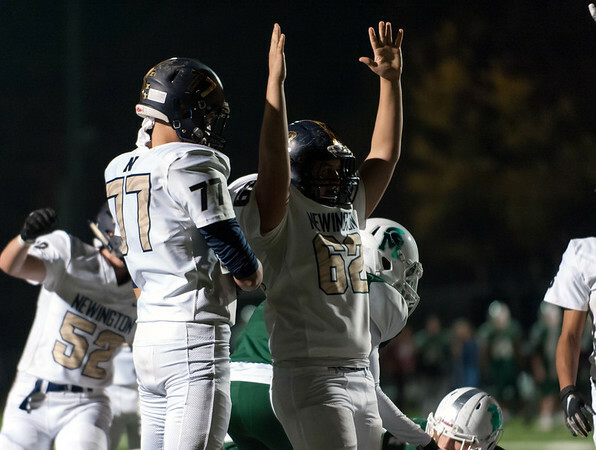 NEWINGTON - Although the schedule has not gotten any easier for the Newington football team, it has seen improvement through the last few weeks. The Indians hope to continue that growth tonight against East Hartford (6-2) at East Hartford High School for a 4 p.m. kickoff. The Hornets have just come off back-to-back losses against Southington (42-27) and New Britain (63-26). And although Newington is on a three-game losing streak, it has made strides forward. The Indians will have to continue to fight and play hard. The Hornets come in with an explosive offense due to a number of playmakers. Raquan Tompkins, the Hornets’ quarterback, completed nine of his 25 passes for 131 yards and one interception last week, while leading his team in rushing after collecting 177 yards on 13 carries and three touchdowns. Then there’s Tompkins’ favorite target in Jaquan Allen. The two have put up some gaudy numbers this season and connected on six passes last week, with Allen finishing with 55 yards. Perhaps a forgotten component of East Hartford’s offense at times is running back David Ortiz, who has replaced Kevon Jones, who is now starting at linebacker for UConn and was responsible for doing the most damage against New Britain last season. Posted in Newington Town Crier, Newington on Thursday, 8 November 2018 20:36. Updated: Thursday, 8 November 2018 20:38.